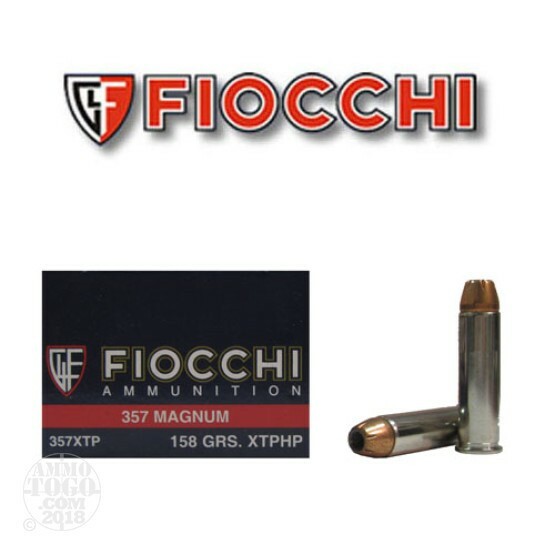 This is 357 Magnum Fiocchi 158gr XTP Hollow Point Ammo. Fiocchi has created this new, high- performance line with the goal of producing the best possible defense and hunting pistol ammuniiton. We have chosen the XTP bullet due to its exceptional characteristics of controlled expansion and down - range performance. This bullet design, coupled with the Fiocchi's renowned nickel-plated cases, has been specifically engineered to provide trouble - free, completely reliable feeding and smooth chamber extraction in semi-automatics. Fiocchi has balanced these fine components with reliable powders to obtain the perfect ballistic equilibrium.